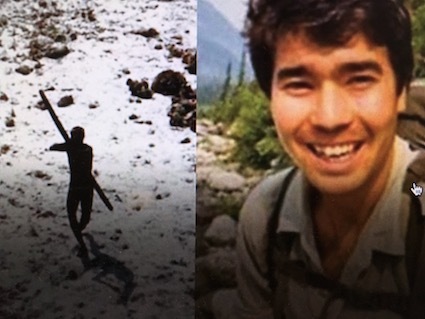 It appears that John Allen Chau lost his life attempting to bring the Good News of Jesus to a remote tribe on North Sentinel Island in the Indian Ocean. Why did he bother and was he right to try to do so? When I became a Christian some of my friends said that while they were pleased that I had found a faith, Jesus wasn’t for them. But here’s the thing – Jesus is either good news for everyone or for no-one. The one thing Jesus cannot be is good news for a few people. Every human being suffers from the same problem for which Jesus is the solution. Our relationship with a loving God is broken and there’s nothing that we can do to fix it. As St Paul put it in a letter to the church in Rome, ‘all have sinned and fall short of the glory of God’. That’s why we all needed a Saviour who could deal with our sin and wipe the slate clean. That’s why we all needed Jesus, ‘the Lamb of God who takes away the sin of the world’. John Allen Chau knew the risk he was taking but in a letter to his family he simply explained, ‘the eternal lives of this tribe are at hand’.